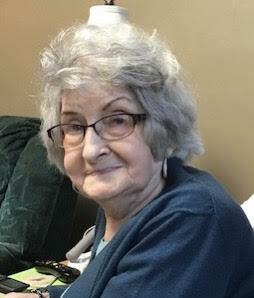 Leeanna Kathrine (Rexrode) Chuck, age 90, of Petersburg, WV died Wednesday, November 14, 2018 at Grant Rehabilitation & Care Center in Petersburg. She was born March 6, 1928 in Maysville, WV and was a daughter of the late Walter Rexrode and Mary Elizabeth “Molly” (Groves) Rexrode. In addition to her parents, she was preceded in death by her daughter, Judy Umstead; five sisters, Betty Bentley, Beulah Sherman, Viola Hedrick, Dorothy Kuhn and infant Mildred Rexrode; three brothers, Abe Rexrode, Eston Rexrode and John H. Rexrode. Mrs. Chuck was the last surviving member of her immediate family. She is survived by one daughter, Martha Riggleman of Kutztown, PA; two sons, Michael Chuck of California and Mark Chuck and wife Darlene of Royersford, PA; three grandchildren, Mark Riggleman, Stacey Stong and husband Doug, and Katherine Dixon and husband John; one great grandchild, Jordyne Stong. Mrs. Chuck was a member of the Memorial Church of the Brethren in Petersburg, WV. She was one of the kindest people you could ever meet. Leanna opened her heart and her home to many people over the years and she will be sorely missed. Funeral service will be held at 1:00 PM Saturday, November 17, 2018 at the Schaeffer Funeral Home in Petersburg with her nephew, Doug Rexrode officiating. Friends will be received one hour prior to services. Burial will be in the Maysville Cemetery, Maysville, WV.